Cigna dental insurance is one of the most popular local providers, and the Green Hills Dental Center team is proud to offer in-network coverage for Green Hills residents with Cigna benefits. Our knowledgeable team works hard to minimize your out of pocket treatment costs and maximize your available dental insurance benefits. If you’re new to the area or you need a new dental office in Green Hills, Nashville that accepts Cigna insurance benefits, call the Green Hills Dental Center team. Let our team know about your Cigna dental insurance or other available benefits, and our team will start maximizing them from your very first appointment. 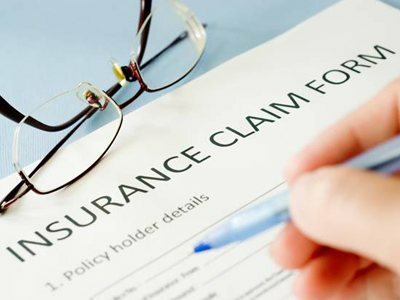 When you visit Green Hills Dental Center, one of our team members will carefully review your individual Cigna insurance policy. Every Cigna plan is unique, so we need to review your plan and/or apply for preapproval to ensure we offer accurate estimates of the out of pocket costs of your dental care. For most patients covered by Cigna dental insurance, preventive dental services like checkups and teeth cleanings are usually covered between 80 and 100%. Minor restorative dentistry services are covered 70 to 80%, and more advanced dental restoration services may receive anywhere from 25 to 70% coverage. Other dental treatments, including specialty care like orthodontics, may also receive coverage, but we’ll usually apply for preapproval before beginning these services to ensure your benefits are available. Cigna, like other dental insurance providers, allows patients to visit out of network dentists and still receive coverage. 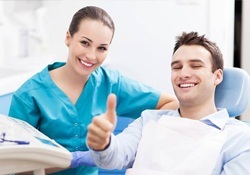 However, as an in-network dental office, our team has agreed to pricing that falls within your plan’s set maximums. That means you only ever need to cover the out of pocket percentage of treatment costs. Out of network dentists may charge fees that fall outside of your plan’s set maximum pricing, but you’ll be responsible for the out of pocket costs of care as well as the difference in pricing. While these added fees are usually negligible, visiting an in-network dental office means you can rest assured you’ll receive the lowest out of pocket pricing. When you call Green Hills Dental Center, any member of our team will be happy to answer your dental insurance questions. Sonia is our in-office expert for all things dental insurance. If you have questions about your policy, need help verifying coverage, or your need assistance navigating any of the small details of your plan. Sonia will be happy to help you understand your available benefits and work with you to make the most of your available coverage. Don’t hesitate to give us a call and ask for Sonia or chat with her at your next dental office visit.